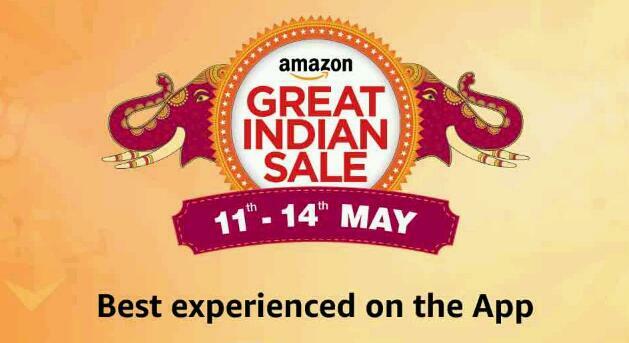 You can enjoy The Amazon Great Indian Sale in 4 days from May 11 to 14 with Exclusive deals and Big discounts. Amazon has over 1.5 million products which fits to every category of people from lower class to higher class keeping middle class at priority . Amazon has a knack of bringing discount for people of India with every festive occasion. This time again Amazon is back on this summer with The great Indian Sale By Amazon giving discounts up to 80% off on premium and leading brands on every hour and jaw dropping discounts on Products. The discount sale will run from May 11 to 14. ◾ You can search items from below categories and we are adding top deals and big discounts also Get discount on products From suggestion List of Our selected products!! These are the lightning deals. If you like the product please buy it as soon as possible before the deal get over. You can also suggest discount products on comment section!